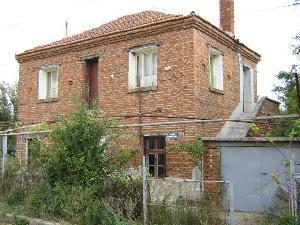 As with most houses in Bulgaria this house is in need of modernising and would be a wonderful home when it is finished. It is priced to sell, and it really is a bargain at this price. It consists of 4 rooms and a corridor on the ground floor and 3 rooms and a corridor on the first floor. The garden is approximately a quarter acre. The house is in a very pretty village, only 15 minutes from the larger town of Elhovo. The house has huge potential for a bed and breakfast business, and is very keenly priced. The property comes with substantial out houses, (possible conversion), and has a large solid lockup garage to the front of the property. This is a lot of house, and is an excellent investment.